As we've seen, conventions are starting to come up quickly. Can you believe we're already at the end of February? 1/6 of the year is almost gone. Well, one show I'm really looking forward to is the CMON Expo (ok, I might be a little biased, but that is my honest opinion). Well, I've made another update about some new stuff they're going to have at the show that you should check out. We've got two events and a guest update today. 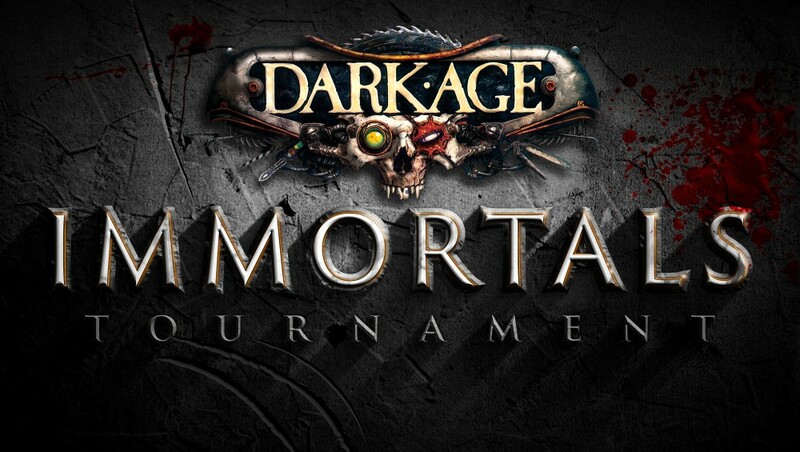 For events, starting off, is the Dark Age Immortals tourney. This is the world championship event for the game. Those that have won March to Immortality tourneys will be getting free travel to the show, but anyone who else is there can also participate. The winner gets to work with the design team about making their own figure for the game. What sort of figure? Whatever they want, really. They could even use their Son of Frankenfest figure. What's Son of Frankenfest? Well, this is an event I really do love. You see, we take a whole load of bits from all the figures we've got back in the warehouse and people get to just build. Whatever you feel like putting together. Then we judge them and the winner gets cool prizes. The last part of the update is that we're happy to have Watch It Played once more coming to the show. Always great to hang out with Rodney and talk gaming. And this year he's bringing crew, which is cool. The Expo is May 6-8 here in Atlanta. You should look into trying to come.